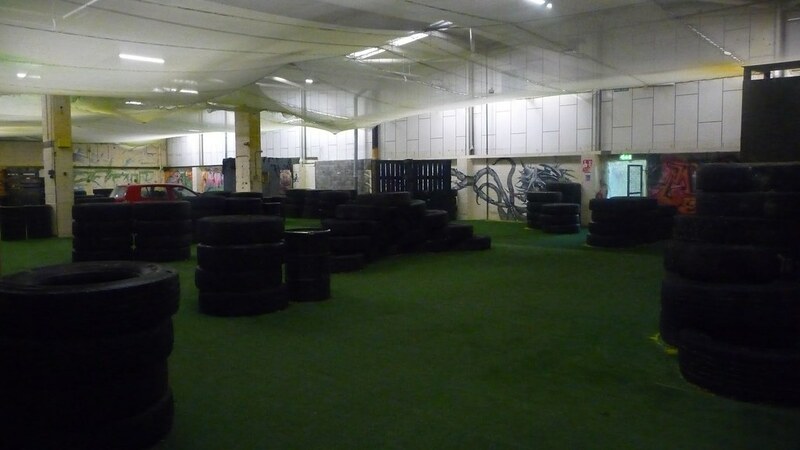 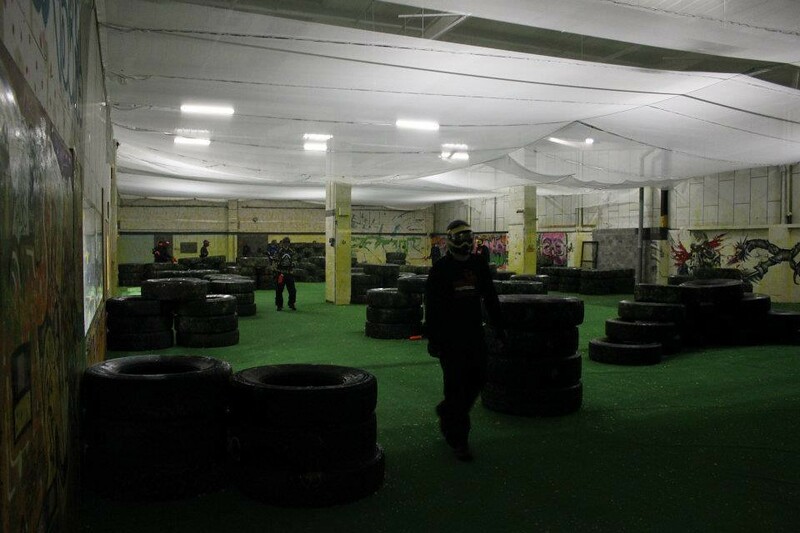 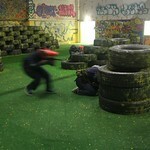 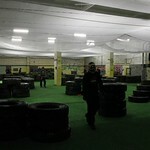 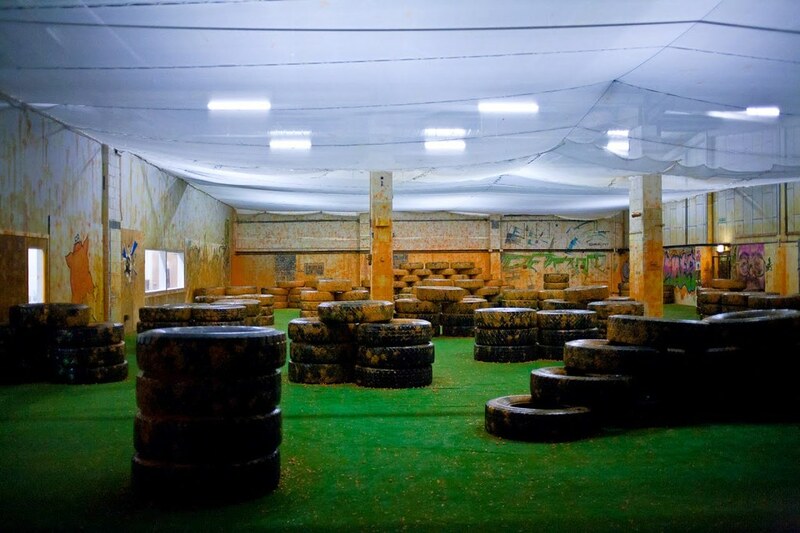 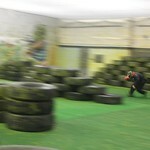 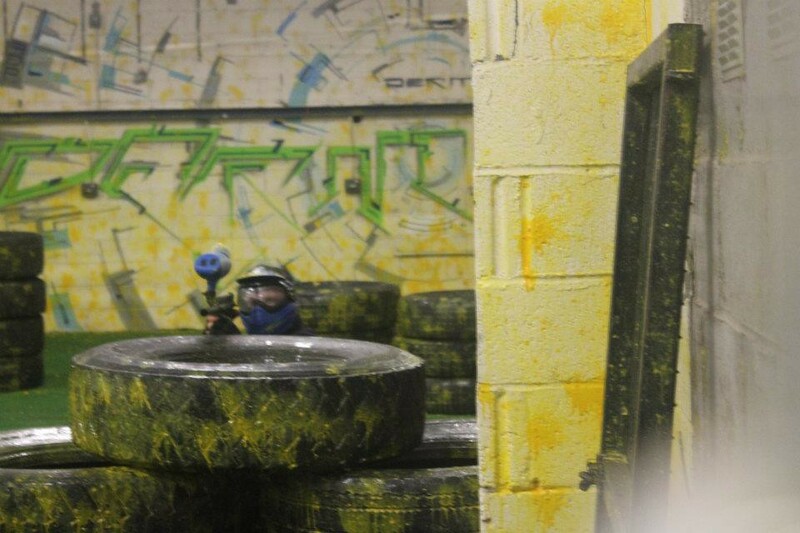 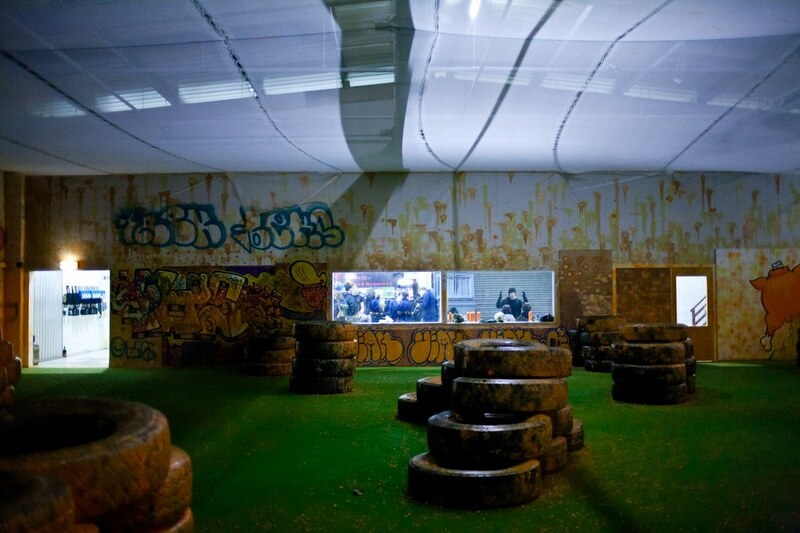 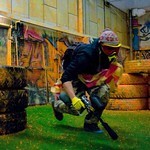 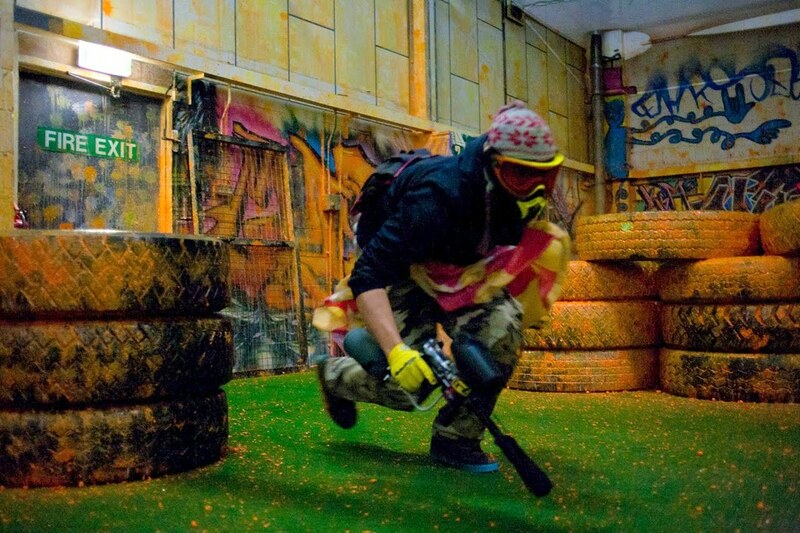 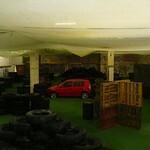 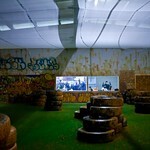 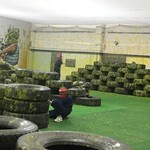 Central Edinburgh indoor paintball ground. 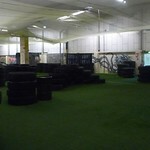 Evening & daytime sessions with no chance of getting wet! 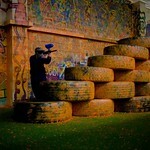 100 paint pellets thrown in to get you started! 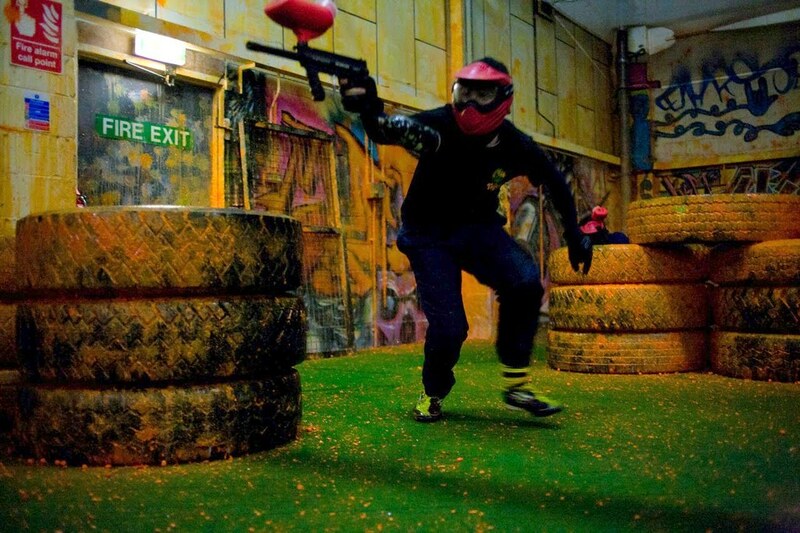 It is Scotland's only indoor paintball arena and gives you all the excitement of paintball without having to face the elements. 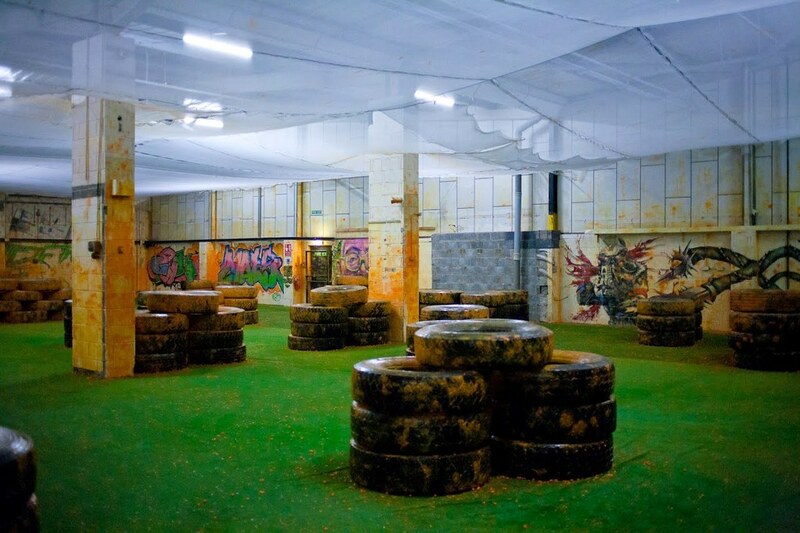 Perfect for those who are not keen on getting muddy and wet. 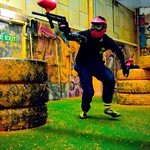 Bonus for stag and best man. 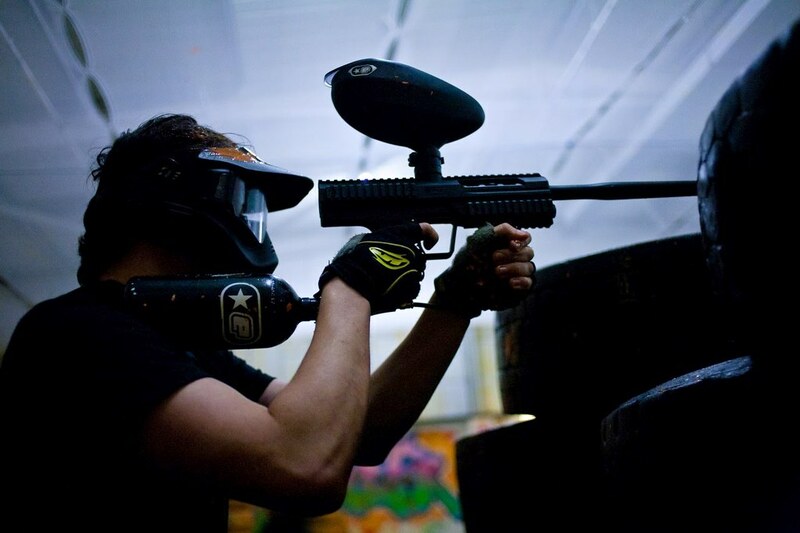 FREE upgrade to Bravo One assault rifle. Capable of fully automatic firing worth £20! 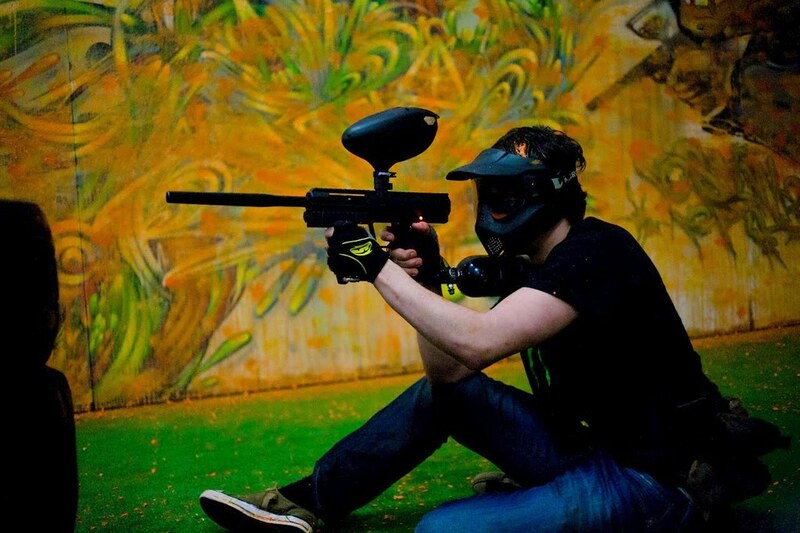 The stag always gets a hard time so fight back with this awesome upgraded gun. 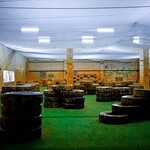 All equipment hire plus 100 Paintballs is included in the cost. 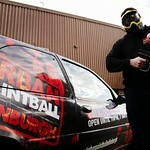 A pizza hut pizza lunch is also included free of charge. 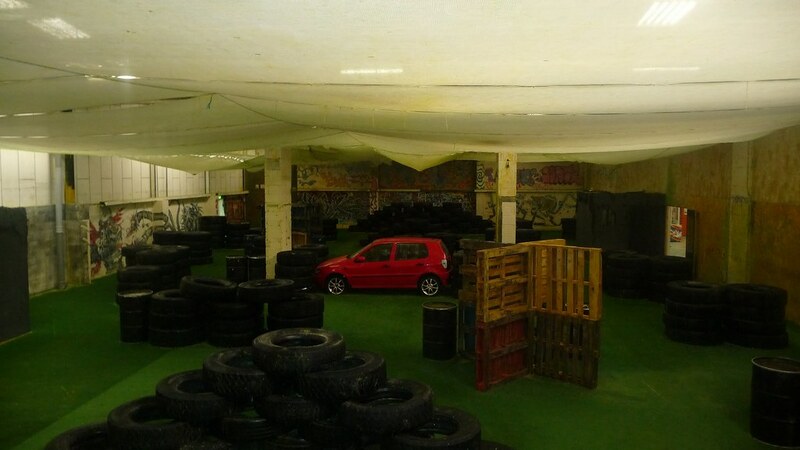 It is advised to bring old clothes for underneath the overalls and old trainers as well. 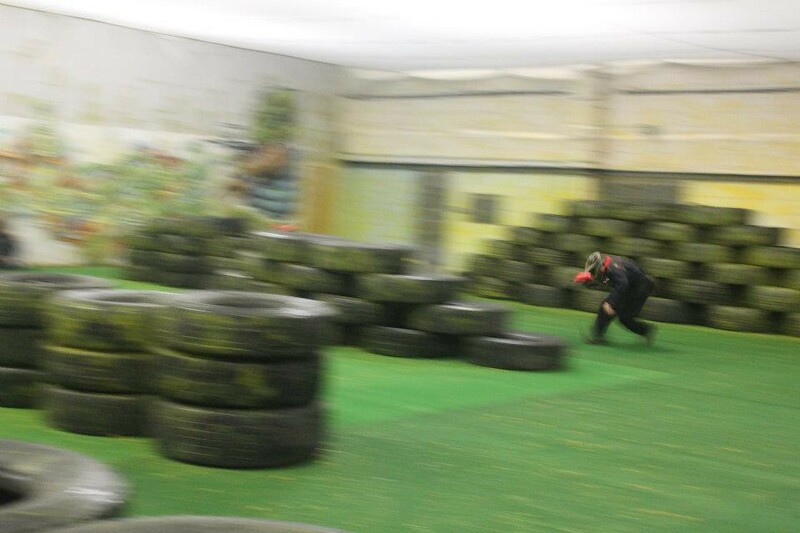 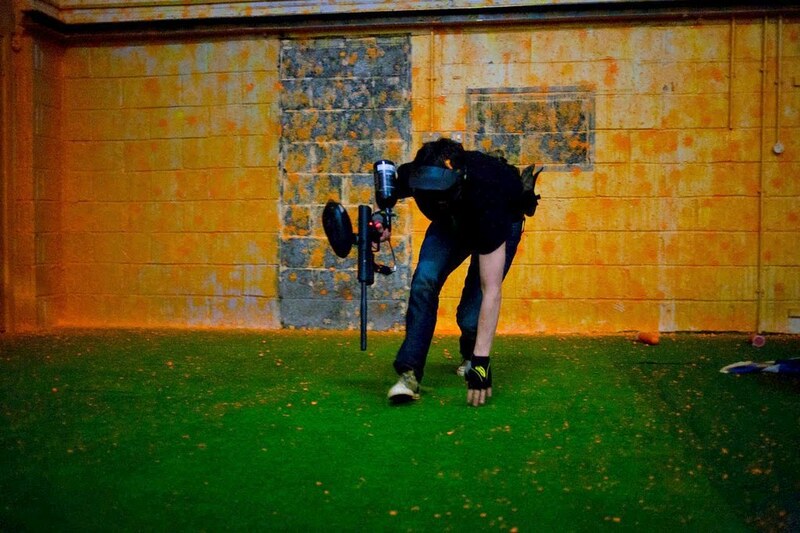 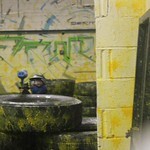 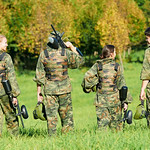 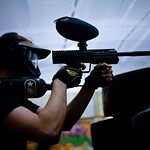 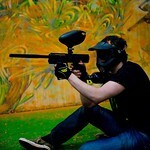 Average paintball usage is 50-100 per game, most customers find the 500 paintball package ample for the entire session. 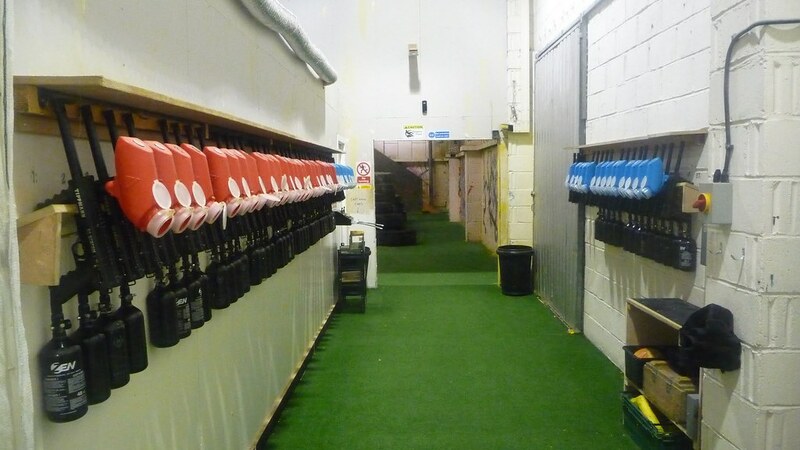 Lockers, changing, hot and cold drinks and snacks are available on site. 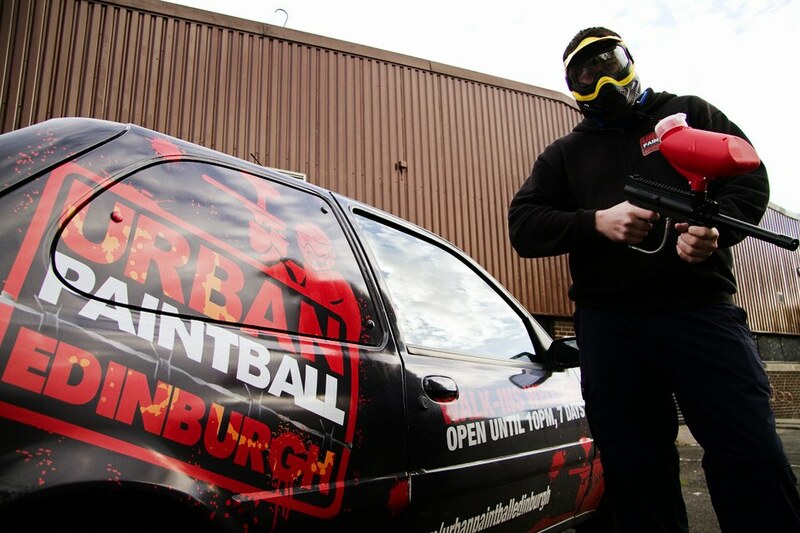 Transport is not a concern here either, the arena is just 5 minutes taxi or bus ride from Waverly Train Station (Princes Street) this is by far the closest paintball site to Edinburgh City centre, estimated taxi cost is just £6 from Princes Street. 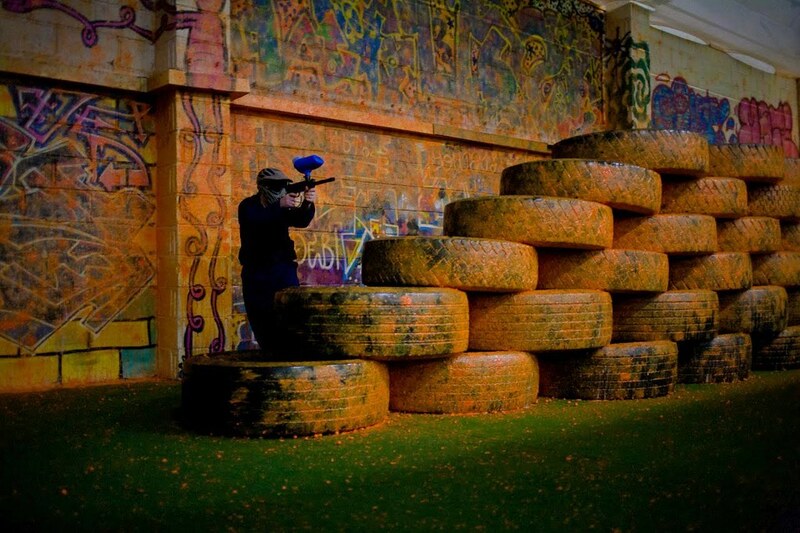 Time to discuss tactics - will you be able to destroy the enemy and regain the heavily defended bridge? 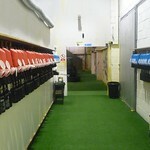 Will you be buying the pints in the pub after or will you be the one sitting back basking in the glory!!!! 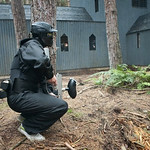 Paintballing at its very best in this woodland site on the outskirts of Edinburgh. 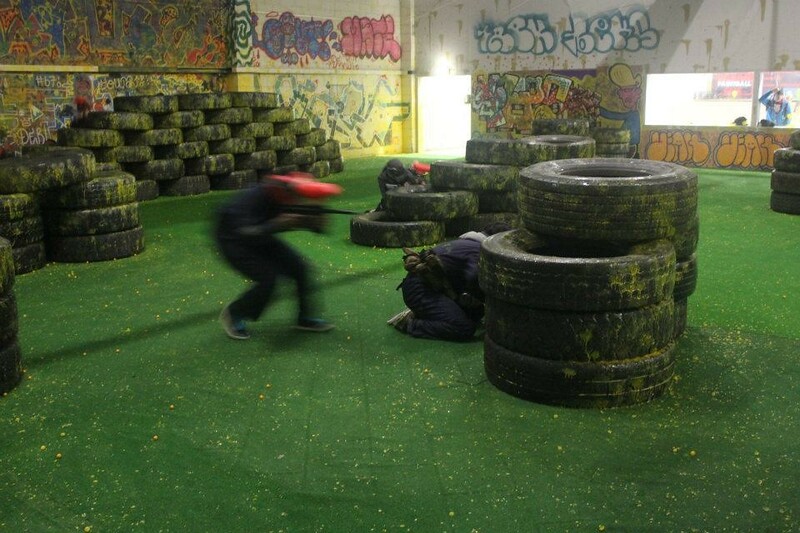 Expertly run game scenarios generate top quality action and laughter for everyone. 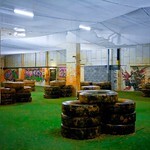 Will you gang up on the stag and pelt him with paintballs or will you play fair!!!! 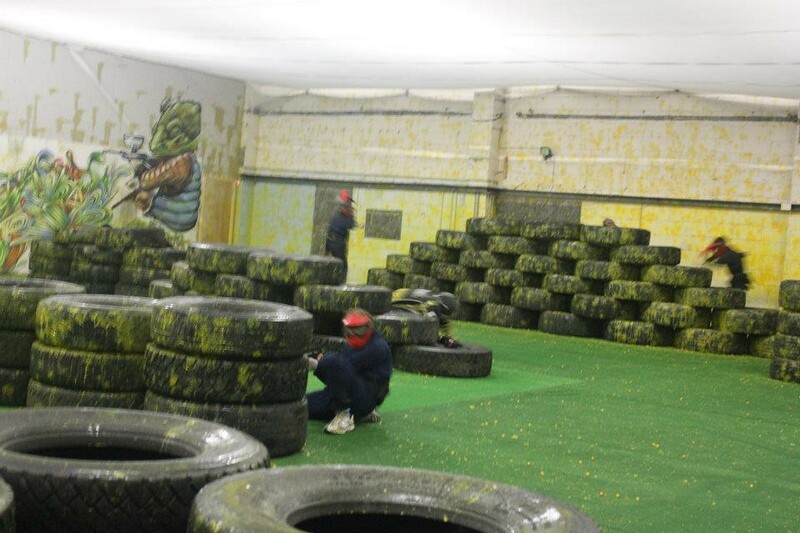 A great weekend ahead ►2 nights accommodation, Lap Dancing Club Entry, Paintball and Nightclub Entry.